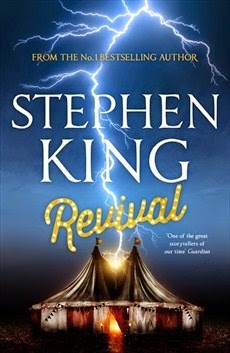 Stephen King fans will have the chance to get their hands on his electrifying new book, Revival, the moment it’s released, at a midnight launch at Waterstones Piccadilly. Doors open at 11.30pm on 10th November, and attendees will enjoy retro fairground-themed entertainment, snacks, and beverages while they wait for the clock to strike twelve. The first fifty people in the queue will be able to purchase the Revival Collector’s Set - a limited edition hardback with deluxe binding, slipcase, illustrated endpapers, author’s facsimile signature and a silver plectrum engraved with the author’s signature. Watch the trailer for Stephen King’s Revival below. T. JEFFERSON PARKER "On Writing Warriors"